Situated in a UNESCO protected Biosphere Reserve, the Clayoquot Wilderness Resort is a glamping destination perfect for people of all ages. This remarkable wilderness retreat is set amongst one of the last remaining ancient temperate rainforests in the world. Here you will find five-star cuisine, an impressive menu of restorative and wellness experiences, luxurious comfort, as well as, both land- and water-based adventures ranging from low impact to extreme fun. The Clayoquot is “luxury gone wild” at its finest and should be experienced at least once in your lifetime. Why is the Clayoquot Wilderness Resort one of the best places for an adventurous stay in British Columbia? 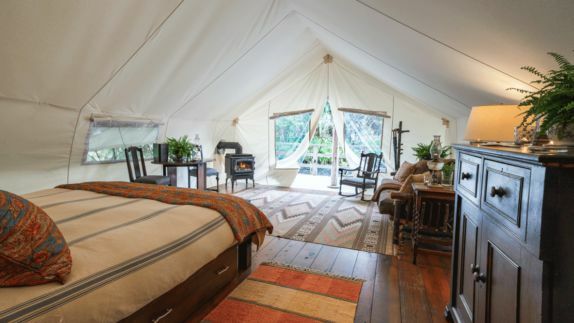 The Clayoquot Wilderness Resort is an all-inclusive eco-safari resort destination located on the wild west coast of Vancouver Island, British Columbia, Canada. 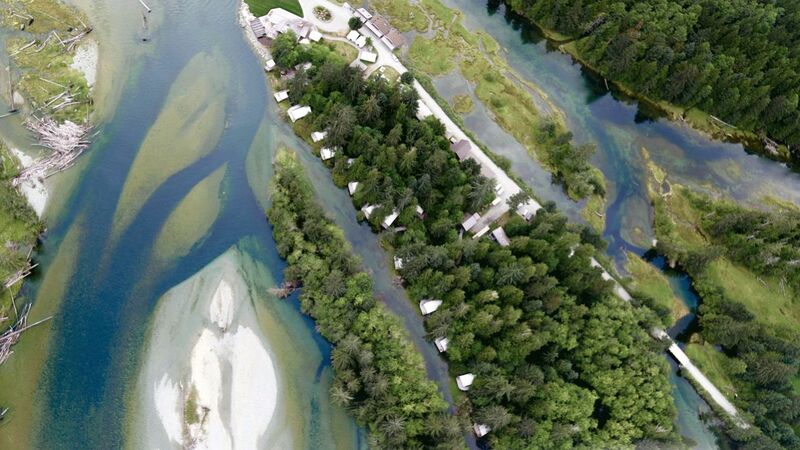 Set in an iconic location amidst the lush forests of Crown Land and Strathcona Provincial Park, this remote sanctuary is only accessible by floatplane. Explore the area’s temperate rainforest, lakes, rivers and alpine peaks and discover an array of wildlife species. 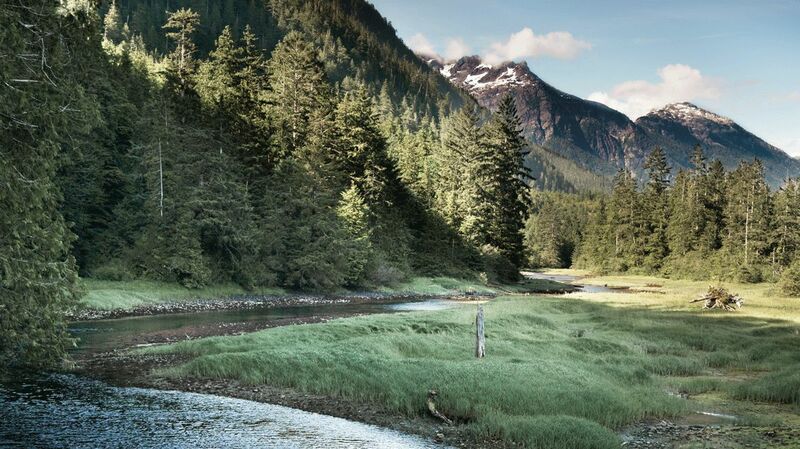 The Clayoquot provides unforgettable experiences in the heart of the wild, while enjoying the lap of luxury. How are the private spaces? What type of views can I expect from my tent? 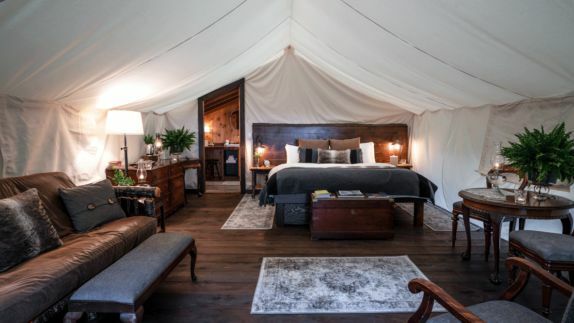 With an ode to turn-of-the-century great camps, the Clayoquot features 25 great white canvas tents, each with the spoils of luxurious comforts, including king size beds with plush down duvets, en-suite bathrooms with heated floors, private outdoor showers and luxe linens. Whether you are nestled into the forest in the Hillside Classic Tent, or down on the lake in the Waterfront Ensuite Tent, you will be greeted with impalpable views of the spectacular landscapes. For the ultimate experience in blissful solitude, opt for the Clayoquot Cloud Camp, perched high above on a 1,500 foot cliff and only reachable by helicopter. 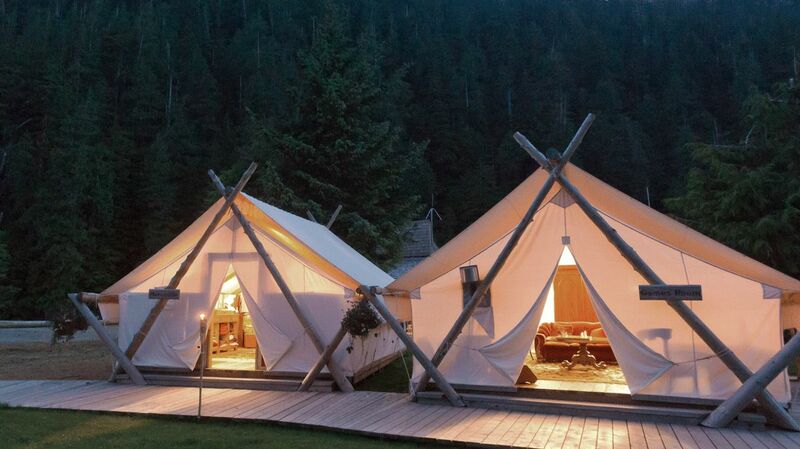 What’s the best way to relax during my stay at the Clayoquot Wilderness Resort? The Healing Grounds Spa offers an array of innovative massages and treatments, including Thai, Amma and hot stone massage, facial and body treatments, and nail care. These treatments and therapies focus on stress relief from head to toe, and are designed to pamper the body and free the mind. Expert spa therapists specialize in a variety of techniques to improve circulation, accelerate detoxification, and release tensions. Whether you simply want to gift yourself with a little “me time” or you are seeking some restoration after an adventurous day, the Clayoquot is happy to personalize your spa experience. 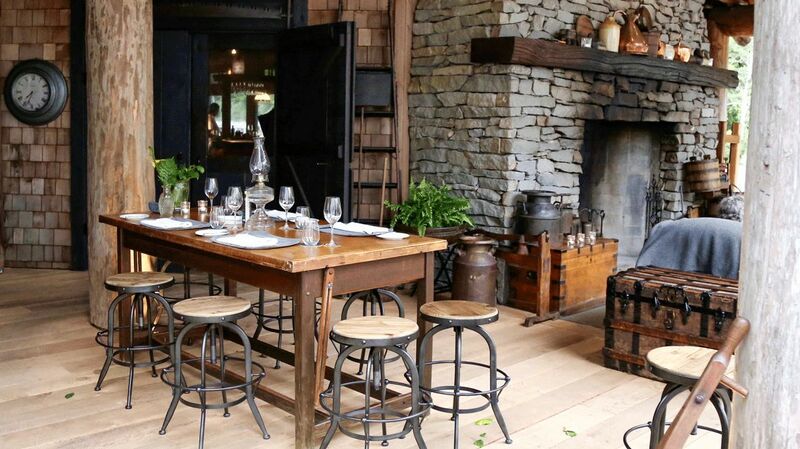 What type of dining experience can I expect at the Clayoquot Wilderness Resort? Will I have more than one restaurant to choose from? Start your mornings with energy-restoring breakfasts and end your evenings with a tantalizing dinner, at “The Cookhouse” restaurant, the resort’s main dining venue. Whether you are dining with a view into the open kitchen, or reserve a private dining experience at the coveted eight-top table on the fireside deck, the award-winning chef Michael Pataran and his team prepare delectable dishes 100 % sourced from British Columbia. 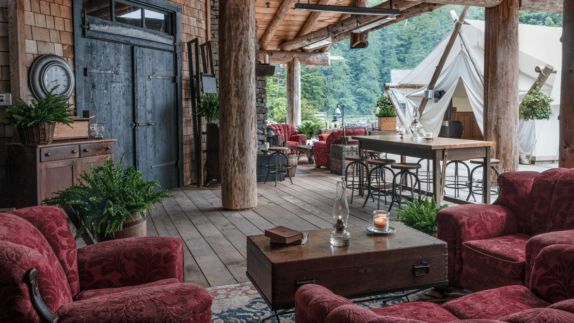 For a truly special experience, lounge by the fireside, at the “Ivanhoe Glass Lounge” with a cocktail in hand as you try to catch glimpses of bears, eagles, blue herons, otters, and seals carrying on with their daily lives. 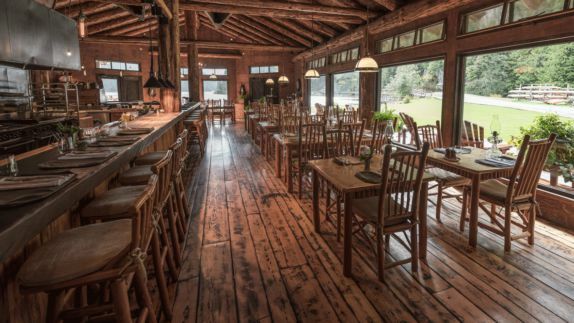 The Clayoquot Wilderness Resort also happily accommodates children’s tastes with offerings such as chicken fingers and beef sliders. 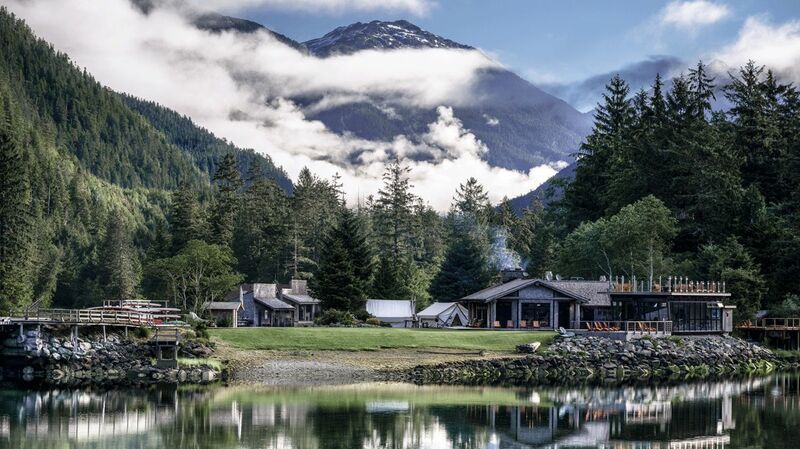 How can I spend my days at the Clayoquot Wilderness Resort? From fishing to wildlife viewing, from horse riding to mountain biking, it is all available for you to enjoy at the Clayoquot Wilderness Resort. Take your pick of the endless list of activities or simply kick back, relax, enjoy the views, peace and tranquility of this secluded haven. If adventure is what you are seeking, ride the tides of the crystal clear rivers or grab a board and head to the nearby seaside town of Tofino for some world-class surfing. With daily yoga classes and a weight room, you never have to worry about missing a workout while on holiday.